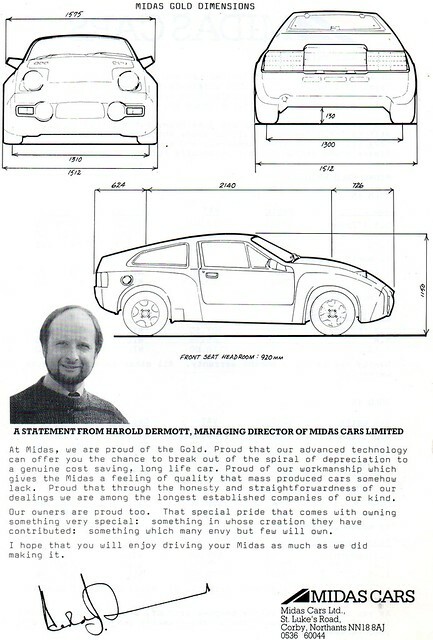 Midas Cars Forum - www.midascarsforum.com • View topic - how long is it? Size matters so they tell me, but I need to know the overall length of the Mk2 and how it compares to the Mk3...anybody have that data at their fingertips? Re: how long is it? OK, the reason I asked the question is this: I ordered a bespoke outdoor cover for my Mk3 from a supplier who said they had a pattern for it - great ! The supplier invited me to try it anyway, but it was too tight (as expected). Now they tell me that they modified the Bronze pattern using dimensions that I sent them in my initial enquiry. My question is: why didn't they use their Mk3 pattern? - no answer to that one yet! So, it is on its way back for a refund. 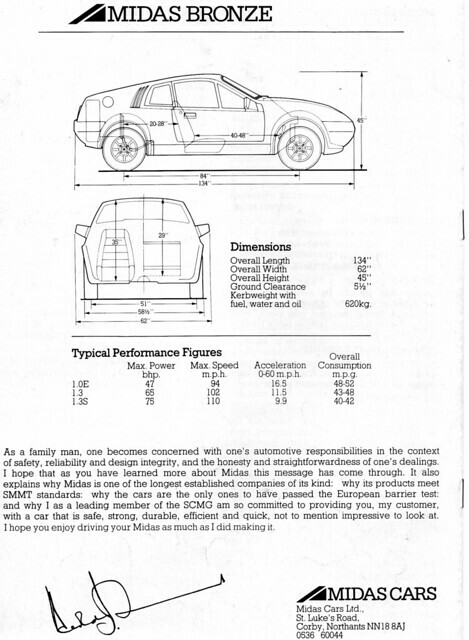 I have managed to find some old MK2 and MK3 brochures that show the dimensions, you may need to click twice on the image to see the figures a little better. Just what I needed to tell these idiots where they went wrong !! Be careful with outdoor covers. I had a collegue with an old street parked Lancia. When he pulled the cover off, it had rubbed the paint away on the edges. Have it in writing that your cover is 100% paint rub free (or whatever you want ot call it). Which is why I cannot use it - it is too tight for a Mk3 but just right for a Mk 2!! See my post elsewhere regarding this cover. The maker does not want it back and will refund my money so I am going to donate it to the club and maybe it could be raffled off at the next AGM or something?